Mitsch Kohn is composer, a soundmystic and music producer. He writes music for films and artistic projects, founded his own spiritual music label Soulfruit Connection and plays intuitive concerts with international artists. Mitsch Kohn, composer, music producer and pianist was born in 1974 in northern Germany and now lives in Berlin. Mitsch’s highest intention is to feel and transmit the essence of music. As a heart musician, he is passionate about heart energy in the musical moment. Learning an instrument in childhood, he soon explored the freedom of improvisation writing songs to create his own organic, musical expression. When a piano teacher warned him, “You can´t play Beethoven like this” he cancelled his lessons and took the road less traveled, self-education, band experiences and the first steps in recording and engineering. At 18 he wrote his first score for a local film and working for a record company experienced the birth, growth and production of his creation. After finishing school and completing his social service year, he traveled extensively through the United States and Australia. Studying music and arts further ignited his passion for composing music. In 2003 this love won him first prize in the Unisong Competition (USA) with his orchestral work “Feuertanz” (published on Heinrichshofens Verlag). Later, more recognition and prizes followed in different composing competitions. In 2005, Berlin became home where he chose to live as a free artist and composer for film music. As he explores the tapestry of music he is influenced by the different musical colors of many cultures. Working as a pianist with international singers and artists like Bea Linska (www.bealinska.com) from Poland, MalikMe (www.malikme.com) from Algeria, Sumeya, Kinan Azmeh (www.kinanazmeh.com) from Syria and others, his love of music evolves. His first symphony was born in 2009. 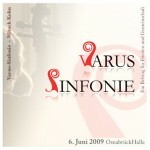 A personal peace project “Varus-Sinfonie” addresses the conflict between the Roman Empire and the Germanic tribes 2000 years ago. The symphony examines the question, “What is peace?” 240 local musicians united in this hybrid-project for professionals and students and brought it to stage as a important social event of togetherness. 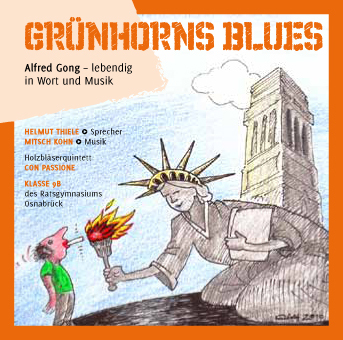 In 2010, Mitsch Kohn wrote the suite “Bukowina“ for speaker and woodwind ensemble for a radio & CD project about the poet Alfred Gong. As his interests awakened into spiritual themes and awareness it was only natural that he found his own spiritual music label “Soulfruit-Connection”. 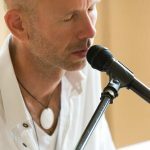 His label is a venue to help others awaken through Yoga, meditation, mental training and other spiritual audiobooks. 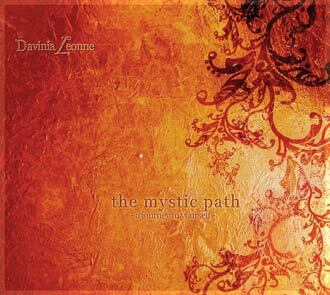 He continues to explore new age music in the project “Davinia Leonne“ and in his sound healing journeys. 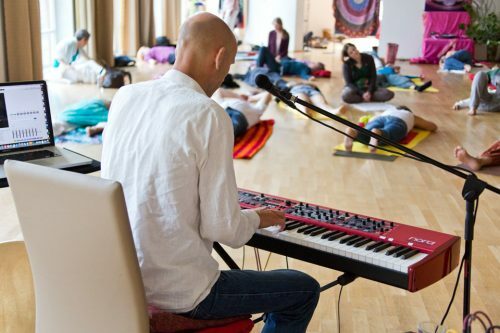 In a new and ongoing event, in Berlin and Leipzig, “intuitive Klangzeit“ Mitsch alone or with other heart musicians explore new musical paradigms creating new age and minimal based meditative instant composing sessions, from silence into sound into silence. An awe inspiring concert with Syrian clarinetist Kinan Azmeh and Kosmosklang Pina Rücker (crystal bowls) in Leipzig on Feb 2012 raised consciousness and awareness to this organic, of-the-moment musical expression. Mitsch realizes the only boundaries to music are the ones we impose on ourselves. With every note and every pause Mitsch opens his heart to the divine communication of music. An intuitive concert is an encounter unfolding from silence into sound into silence. It is an invitation to engage with the flow of the moment and drift on that path into an inner journey. The listener will be guided into the inner world, and he/she might experience that the story unfolding is a story of her/his inner landscape. While music is opening the heart, you´ll be invited to your personal heart-journey and to encounter yourself on a maybe unexpected way. Ideally you enjoy the journey with closed eyes while lying on the floor. For that purpose please bring your own yoga mat and/or blanket. I play intuitive concerts alone or with other intuitive musicians in locations, that provides a calm and intimate atmosphere and enable a undisturbed enviroment for the listener. 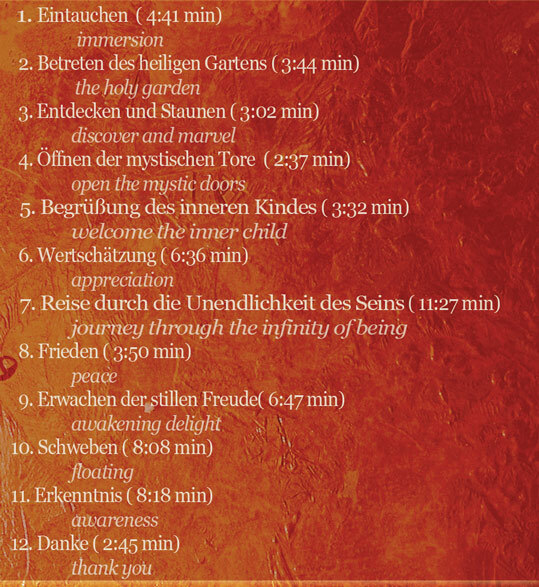 with Lex van Someren, Mirabai Ceiba, Estas Tonne, Kinan Azmeh, Kosmosklang, Shoshan, Cataleya Fay Rejana Woock, Netanel Goldman, Skylove, Birgit Reimer, Anukai Arun, and many others, and healing-sessions with gong-master Susanne Schinnerl. 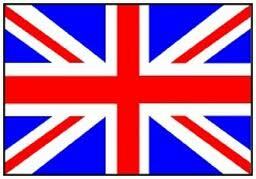 I use a OMBIENTE-3D-sound-system. This system has a 360 degree radiation factor and doesn´t affect the listener directly. The result is a much more naturally reception of the sound with much less audio pressure and a more 3-dimensional soundexperience. It is like bathing in the sound. All truth is inside us. With sound we can dive into inner dimensions that seemed to be covered before. Letting the mind go and diving into the flowing river of sound, new doors were opened we never expected that they are there. Sound is a key, but walking through is the challenge for everyone him/herself. 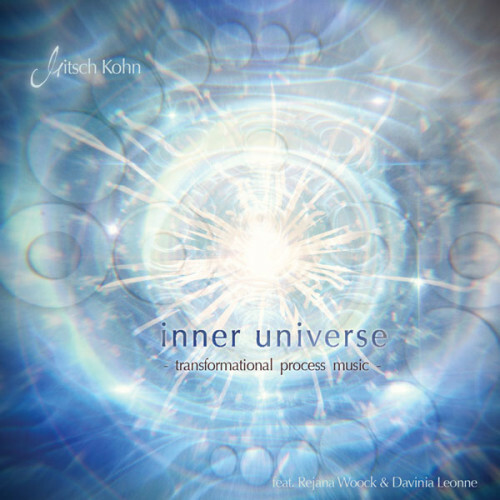 My intention is – with the music coming through me – to give space to explore inner dimensions and to get to know the inner world on a deeper level. The music open the hearts for dialogue with both the inner light and the darkness… to realize, to accept and to let go. The listener can experience a true melting with the higher self and get impulses for inner healing. 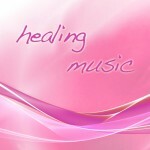 We heal the world with healing and empower ourselfes. After a moment of silence, I open the sound-journey and we enter into a first sound-wave, inviting us to open our hearts and realize our body, also the hidden pain, and to activate the self-healing-process. The sounds (piano, drum, voice) unfold intuitively into several waves of different worlds, emotions and themes we all carry in us. The listerner decides, how far he/she is able to dive into… it can be a deep healing process or just a concert. The journey will end in silence again. 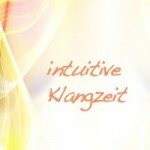 In this silence there´ll be time to integrate and coming back into the normal daily conciousness. The duration of a journey is approx. 90 min. In these kind of sessions we leave behind the „concert level“ completely and focus on the reconnection to our soul and our destination in life. In several sound-waves the sounds connect to the soul-landscapes and has no concert-ambition of musical correctness at all…(and that could sound challenging sometimes 😉 ). It is a journey leaving the surface and dive deeper into the matrix… we´re going deep into the mud and high into the spheres of light. This leads into an activation of the memory and higher conciousness on the cell- and heart-level. On one hand unconcious patterns were reflected (by the system), felt and re-progammed. On the other hand the connection to source and our soul will be experienced on a deep level. Many participant report they have been „really home“ first time. Inbetween the waves there is space for silence, sounding, singing, dancing, sharing …whatever is needed in that moment, to integrate and letting go. A sound-healing-journey-intensive can evoke radical changes in your system, it is a re-programming of the cells and a heart-opening. I accompany other session-givers / lightworkers / coaches in their individual method bringing people into self-determination, like Damien Wynne, Sabine Wolf, Chuck Spezzano, Jhadten Jewall, Andrea Kraus, Silke Bader and others. I also played on retreats & darshans with OM C. Parkin, concerts with Lex van Someren, Mirabai Ceiba, Estas Tonne, Kinan Azmeh, Shoshan, Cataleya Fay and others, and healing-concerts with Susanne Schinnerl Transformations – Klangreisen with the medium Gosia Anna Sereda. I use a OMBIENTE-3D-sound-system. This system has a 360 degree radiation factor and doesn´t affect the listener directly. The result is a much more natural reception of the sound with much less audio pressure and a more 3-dimensional soundexperience. It is like bathing in the sound. There are a lot of projects with music by Mitsch. You´ll find some of his music-productions in the CD-folder and all his productions on the website of his label Soulfruit-Connection. all CDs available at Soulfruit-Connection. 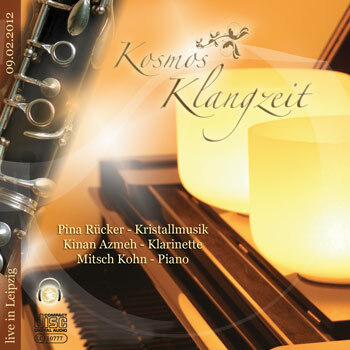 an intuitive soundjourney with syrian clarinettist Kinan Azmeh, crystalbowlplayer Pina Rücker (www.kosmosklang.de) and me, recorded in Leipzig in Februar 2012, Live, length: ca. 79 min. 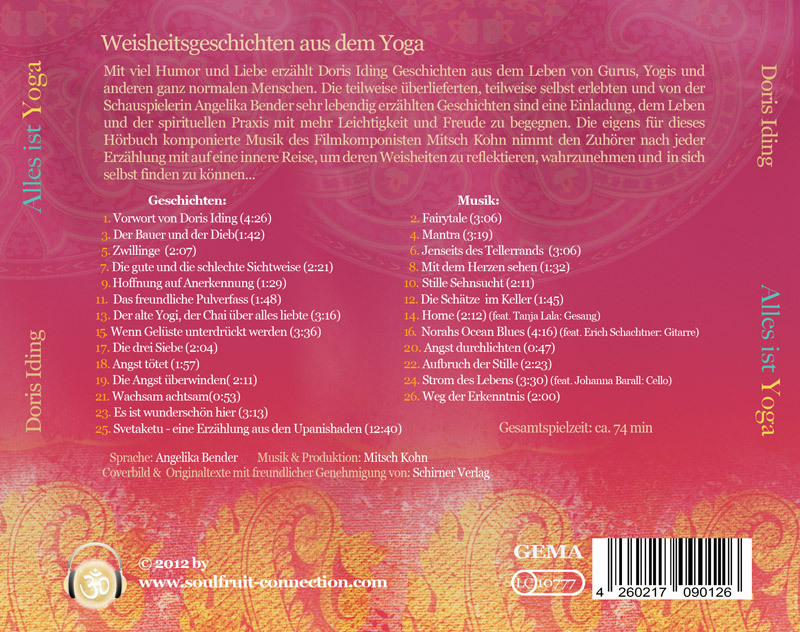 Musik: Mitsch Kohn, Cataleya Fay, Janin Devi, Shoshan u.a. 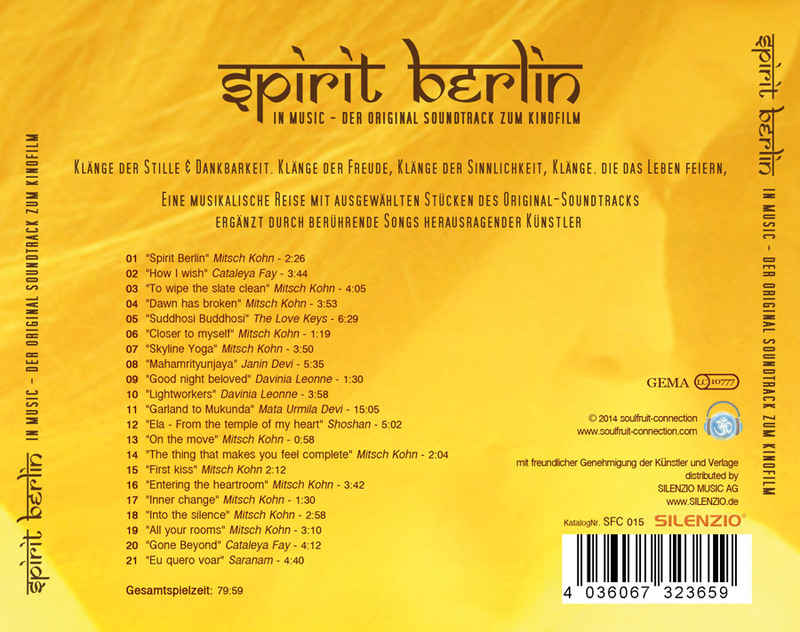 Spirit Berlin in music – original-Soundtrack and additional songs, 80 min. Spirit Berlin in music – die CD zum Film mit dem Original-Soundtrack und zusätzlichen Songs, Laufzeit: ca. 80 min. Eine musikalische Reise mit ausgewählten Stücken des Original Soundtracks von Mitsch Kohn aus dem Film Spirit Berlin – ergänzt durch berührende Songs herausragender Künstler wie Cataleya Fay, Janin Devi, The Love Keys, Shoshan, Mata Urmila Devi Goenka, Davinia Leonne u.a. Audiobook with Doris Iding and Musik to reflect the spiritual stories, runtime ca. 74 min. 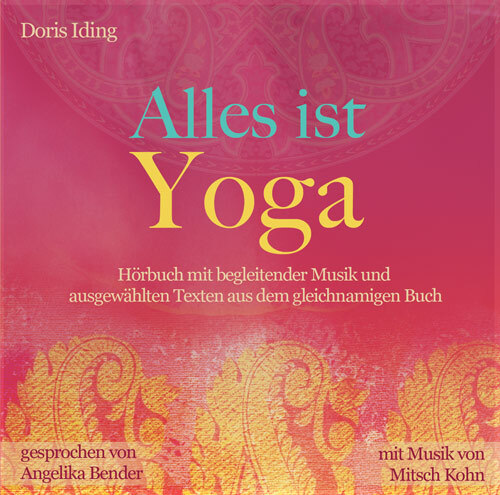 With love and humor Doris Iding tells stories from Gurus, Yogis and other normal people. The actor Angelika Bender speaks the stories in a very lively way as an invitation to find more joy and happiness in daily spiritual praxis. The music composed for these stories takes the listener to a journey into theirselves, to reflect the wisdom of these words and find it inside. eine intuitive Klangreise mit dem syrischen Klarinettisten Kinan Azmeh und mir, aufgenommen in Berlin im gotischen Saal im Februar 2012, Live, length: ca. 49 min. an intuitive soundjourney with syrian clarinettist Kinan Azmeh and me, recorded in Berlin in Februar 2012, Live, length: ca. 49 min. intuitive Soundjourney on a Grand Piano in Madrid at Noche de la Musica in Sept. 2011, Live, length: ca. 23 min. flowing into each other to accompany your inner journey. Peace Symphony Project for big orchestra, 4 soloists, 2 choirs und children´s choir. The premiere of Varus-Sinfonie was performed on the historical place in Kalkriese, where German tribes fought against the Roman Empire 2000 jears ago. 240 musicians from region Osnabrück took part in this event. 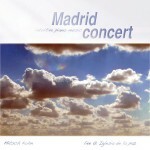 CD can be ordered directly via email for 5 Euro.